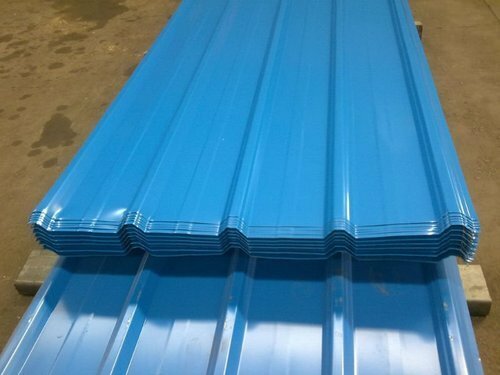 We are offering Color Coated PPGL Sheet to our clients. Established in the year 2011, at Greater Noida (Uttar Pradesh, India), we “Vlb Structural Consultants”, are known as the renowned service provider engaged in providing highly effectual services for Designing & Consultancy Services. Our rendered service also consists of service like Structural Design Consultancy Services, Pre Engineered Building Consultancy Services and Cold Storage Designing Services. We render these services as per the various requirements of the customers. Widely valued among customers for their flexibility, timely execution, accuracy, reliability and client centric approach, these provided services are widely used in various industries. In order to offer world class range of services, we are supported with a team of extremely trained team of specialists. The experts working with us are well qualified to handle various challenges. Our services are obtainable for 24 hours and are valued among our clients for timeliness and high accuracy. Our knowledgeable and well trained engineers help us in offering perfect and exact services to our customers across the nation. Besides, they also know how to make best possible use of technical progressions to give a boost to our competency as a foremost service provider.